The pictures are organised by where we have seen the wildlife. Hopefully, this will give you an idea of what you could look out for on a particular walk. 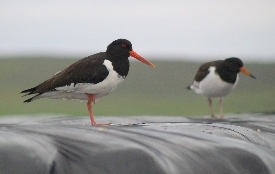 Clearly, there are some that will be seen just about anywhere - rabbits and oystercatchers spring to mind! If you stay at Hannigarth, you will see much more than we have included here. We aren't experts so please don't roll around laughing at our mis-identifications! 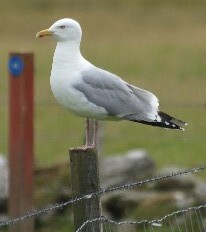 This one seemed to have a favourite look out post near the house. I never worked out what it was looking for. These gulls are commonly seen on the beach, often in a group of juveniles and adults. The Unst version of this common plant is this rather nice lilac colour. The eyebrights are a collection of a huge number of species that tend to interbreed and complicate the life of taxonomists. The name comes from their use as a herbal remedy for tired eyes and conjunctivitis. The plants are semi-parasitic, stealing resources from the grasses around them. There are generally a pair of divers at Sandwick beach, they do a good line in making you think you have seen an otter dive until they bob up again. 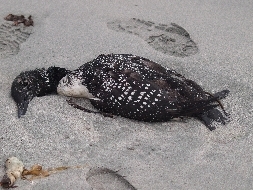 This rather sad picture was taken when one of a pair died and ended up on the beach. 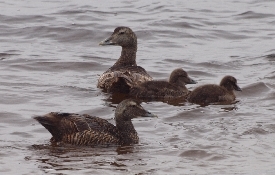 You will also see red-throated divers on the loughs and sometimes in the bays. Okay, I knew that there were plenty of daisies around. Then we visited the house in May and saw this. 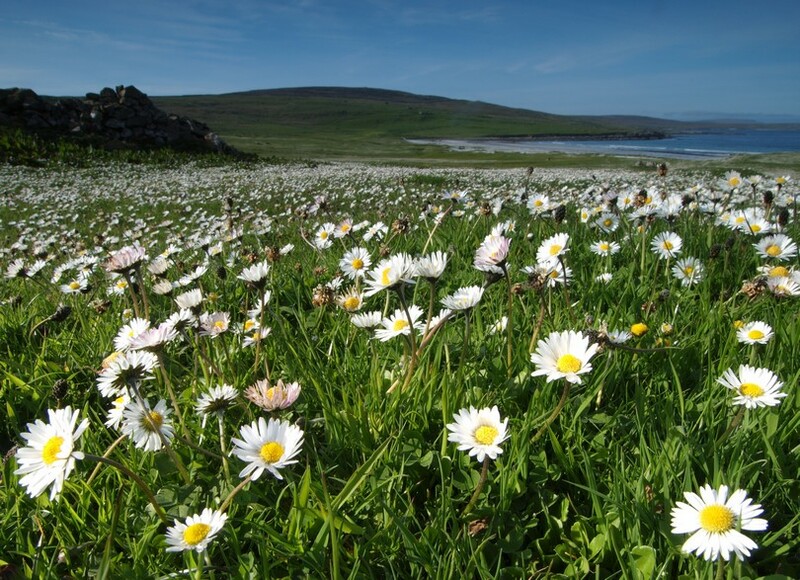 You wouldn't believe the Shetland dialect name for the Daisy. 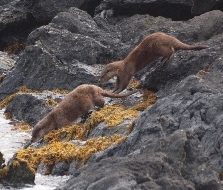 We have seen otters along both sides of Sandwick bay, at Uyeasound, Burrafirth, Fetlar and at Lund. The trick seems to be to go for a walk without the intention of looking for an otter and hey presto! We have tried getting up at dawn and while this works, mid-morning after a late breakfast also works! 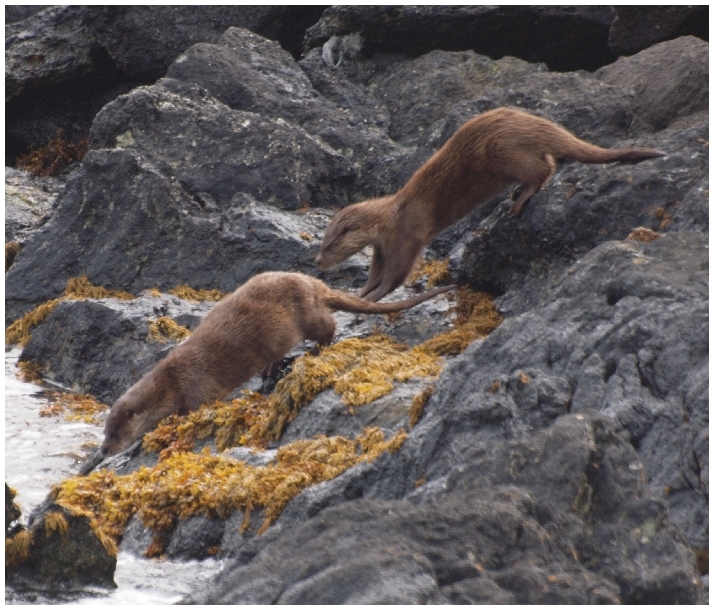 There is plenty of evidence of otter feeding all along the "banks". They seem to have a varied diet. Apart from a couple of fleshy, yellowing, strap-like leaves poking out of the heath, you would never suspect what is in store for you if you visit Unst in Spring. Thousands of these little blue flowers appear as if from nowhere. 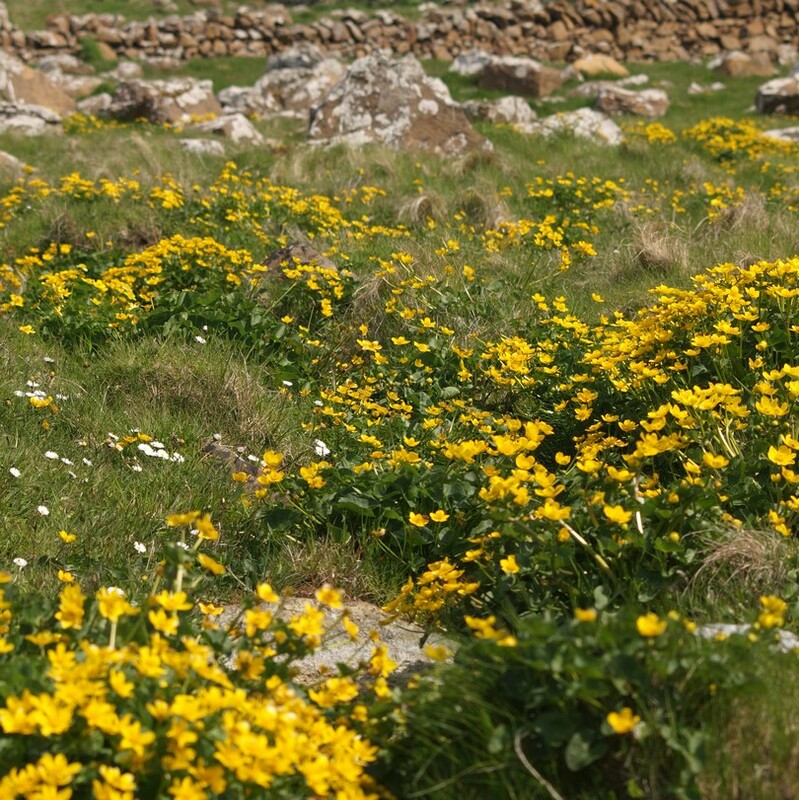 This is a relatively uncommon plant of heathy grassland by the sea - but not on Shetland! Otherwise known as that "noisy bird". 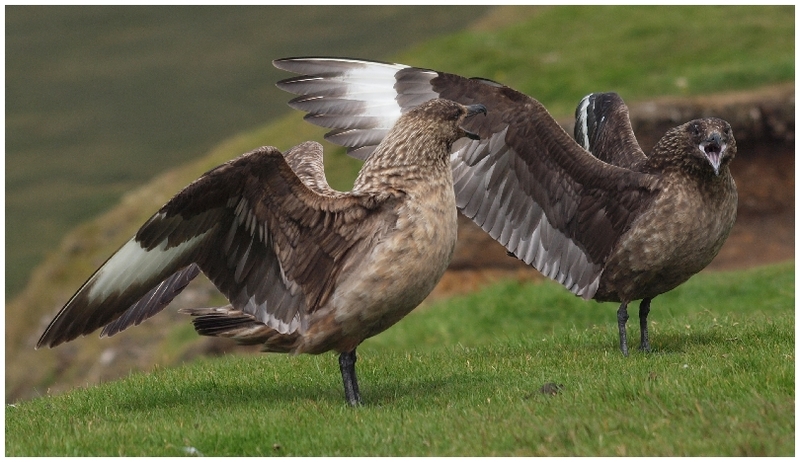 These are the early-warning system of the Unst coastline. You will come across them pretty much everywhere, usually when you are trying to sneak up on some other bit of wildlife. I may already have mentioned that it can be a tad moist walking on Unst. 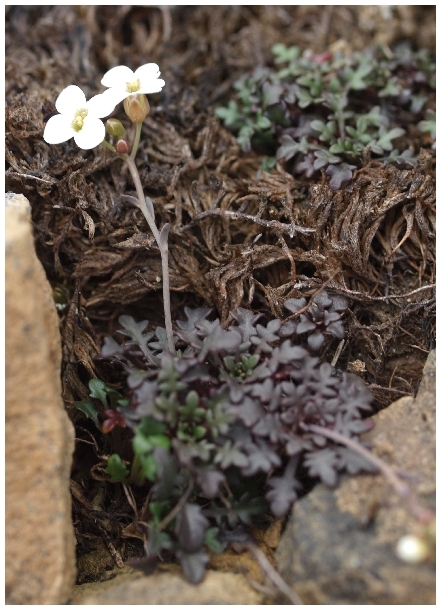 Here is another plant that likes it that way and does its showing off in the Spring. 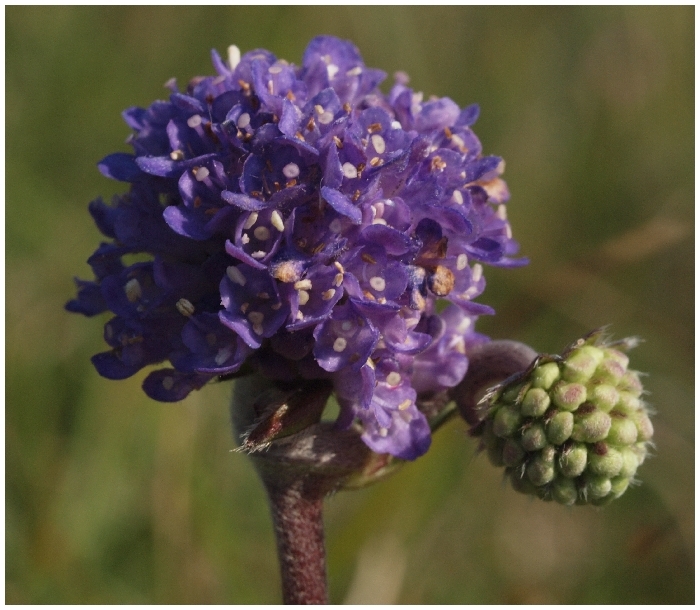 It is also a plant that benefits from the sort of land management that is sadly a thing of the past in many parts of the UK. I think it has to do with feeding people and profitability and so on. 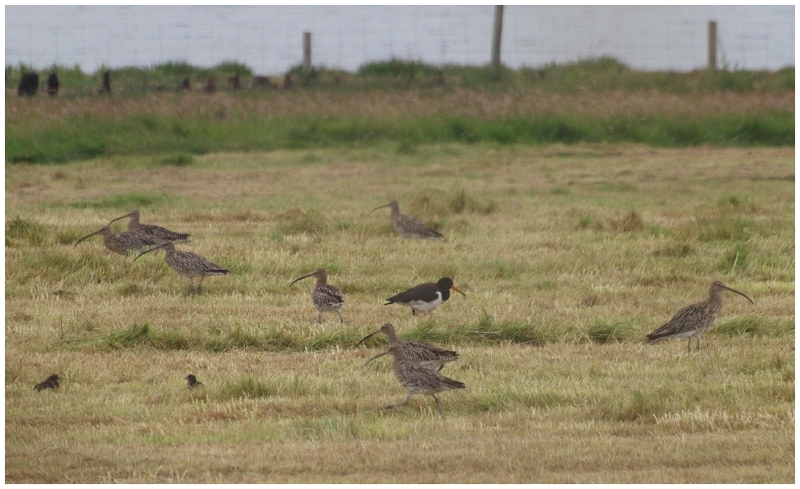 There are always a few around but they turn up in masses just after the hay is cut when the soil invertebrates make an easy target. The name is a clue to where you will find them. They like their roots in wet, peaty meadows and there is a nice example as you walk from Sandwick to Muness. 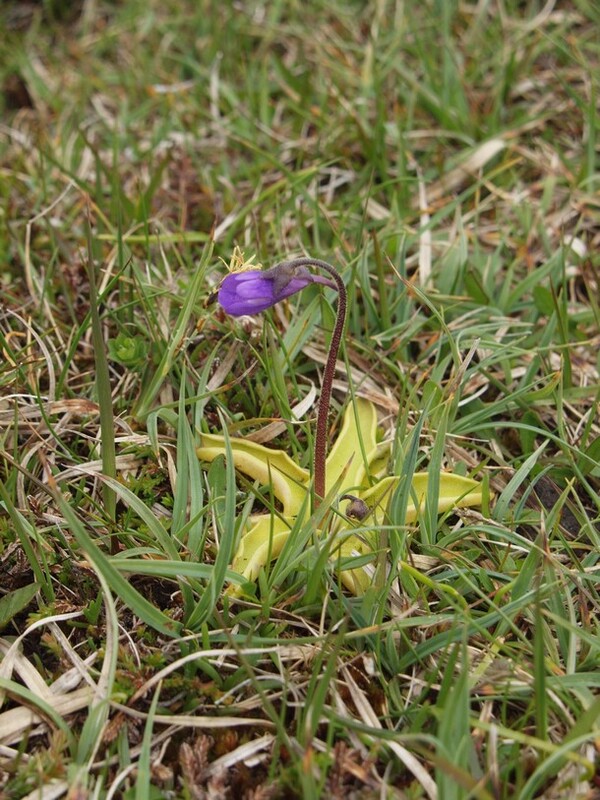 The plant is an indicator species - it indicates that the crofter has given up trying to drain the field. 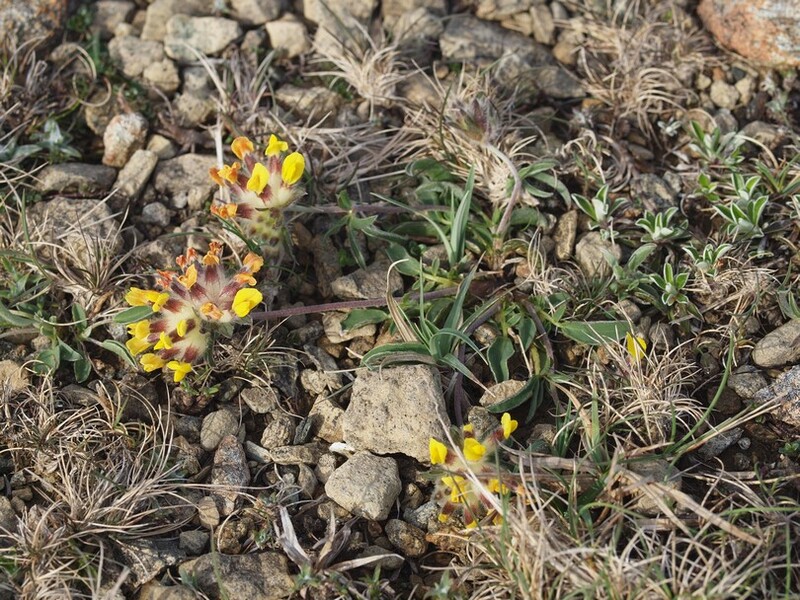 The same habitat will also be a good place to spot bog asphodel and cotton grass. There is always a small group on Sandwick beach. They will rise up and fly away if you get too close before setting down again, the regulation distance away from you. 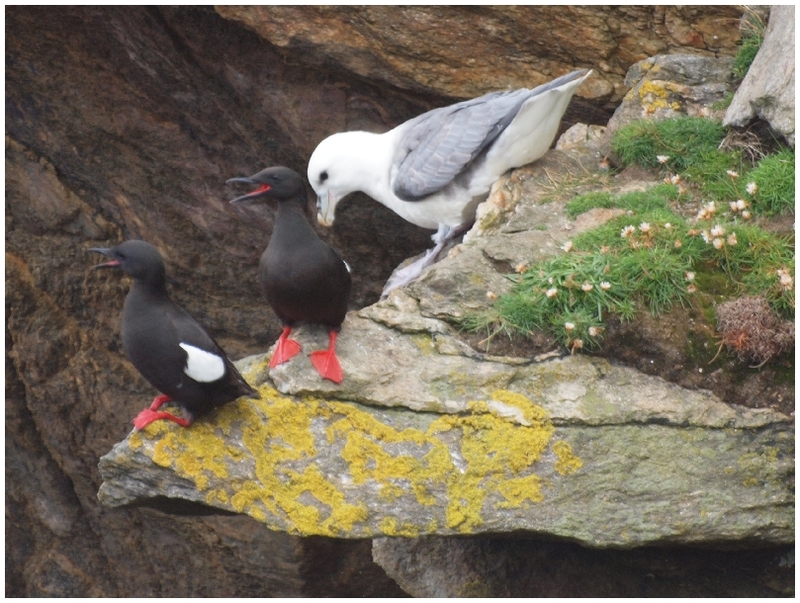 However, there are some nesting sites on Unst and in the breeding season, it is a different story. They can be quite aggressive as they persuade you that you should be somewhere else. This one was trying to poo on my head while screeching in contempt at my existence. ...but the relentless nature of it somehow strikes a chord. If you are stood looking at this plant you had better be wearing wellies. It is a proper, paid-up wetland plant. 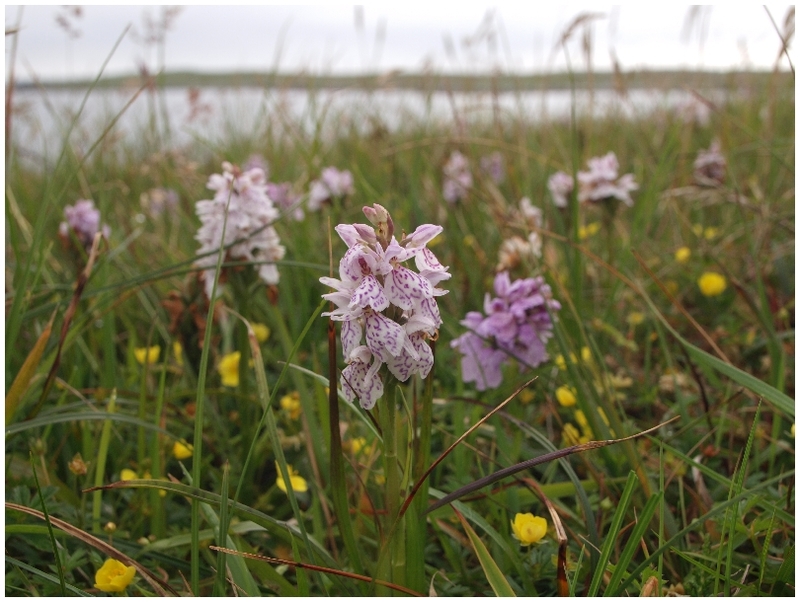 Fortunately, while plants like this tend to be confined to nature reserves in some parts of the UK, on Unst they find a home in farmland. So, you are walking along, minding your business. You hear someone laughing ironically and then there is a whoosh of wings and you meet one of these. 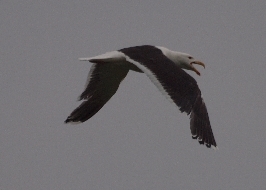 The largest gull in the world with a personality to match - and it eats puffins. I suspect that these are paid by Shetland Tourism or possibly the Shetland Police. 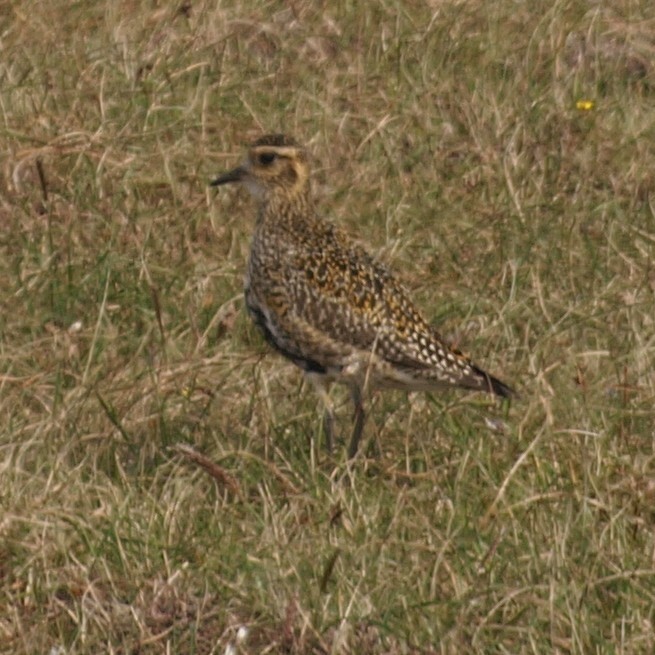 They magically appear when you are walking along the coast and then follow you until they can pass you on to the next one in the team. 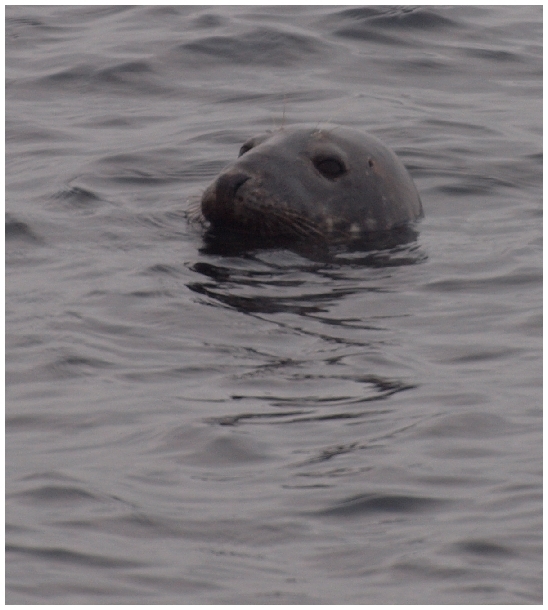 Grey seals have a profile where the nose forms a straight line from the top of the head to the tip of the nose. 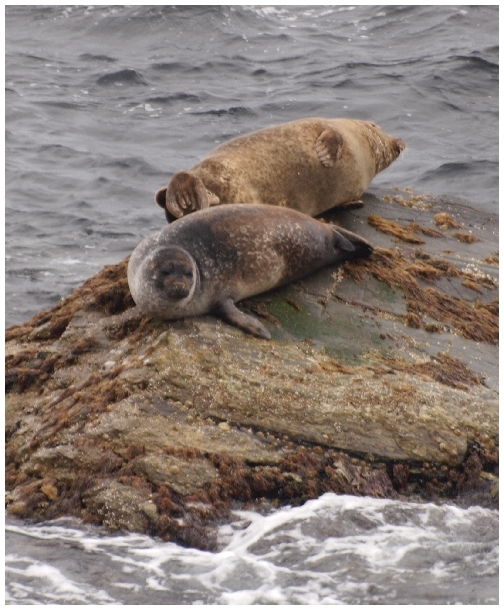 Grey seals also seem to be able to sleep underwater with just their noses pointing straight up disguised as triangular rocks. 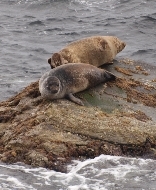 There are some high cliffs North of Collaster where there are often common seals hauled up on rocks that get left high and dry when the tide goes out. Other good places to see them are Blue Mull, Huney, Muness and Hermaness. 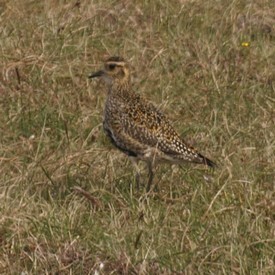 However, the best place to see them is Haroldswick - while you are having a meal in the newly (re)opened Cafe. 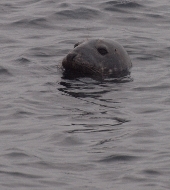 Common seals have noses that stick out below more of a forehead, often described as being dog-ish. They also sing! 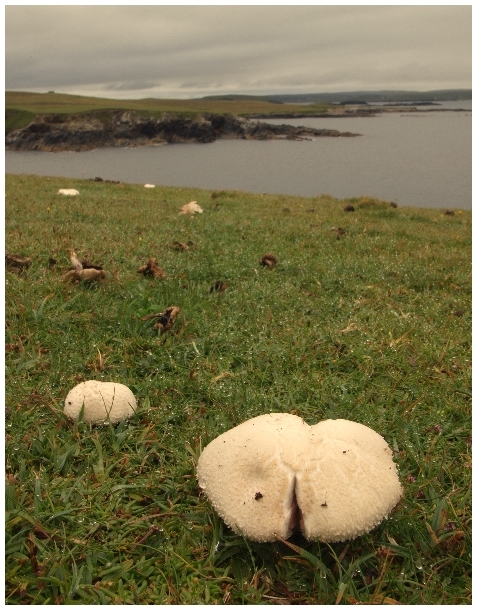 Most of the UK has mushrooms in Autumn, Unst often has a good crop on the Banks all through the summer - another benefit of a "moist" climate. My legal team tell me that I have to point out that you should only eat a fungus if you are very sure that they isn't a death cap. 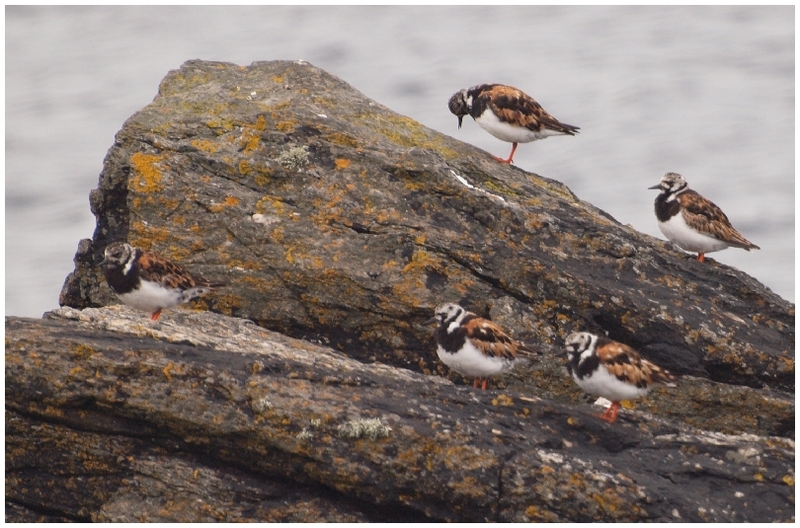 A very common little wader on the rockier bits of the coast. I haven't actually seen them doing what their name suggests but that's probably because the oysertcatchers warn them to stop before I get close enough. 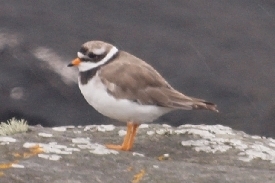 I like a bird that has made the effort to dress for dinner. 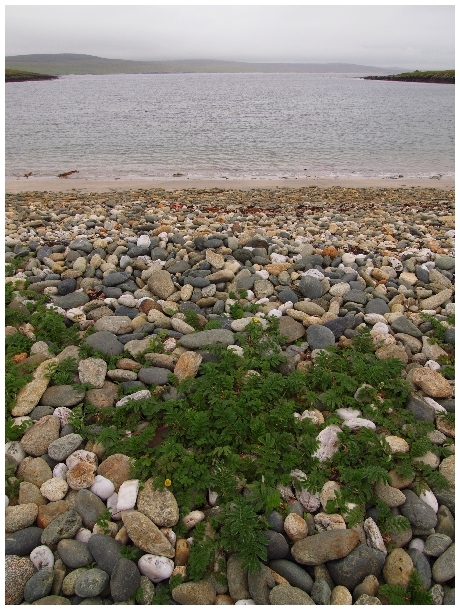 Lund beach has always got one or two Eider families. Where do the drakes go in the summer? - or is it just that I cannot tell the difference between the genders? Or, is it just that they have gone to the pub. 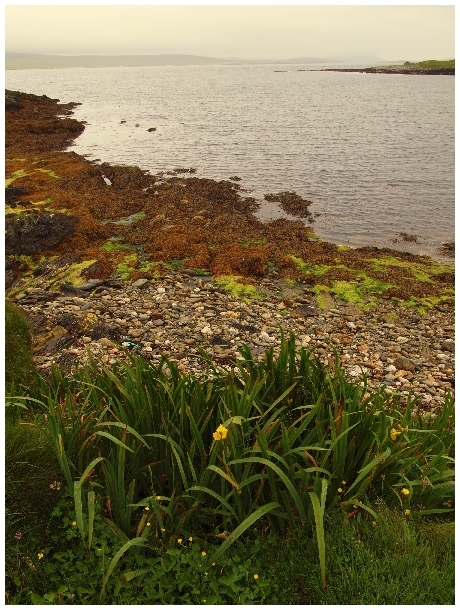 Most of the old settlements have this iris growing down the streams near to the sea. 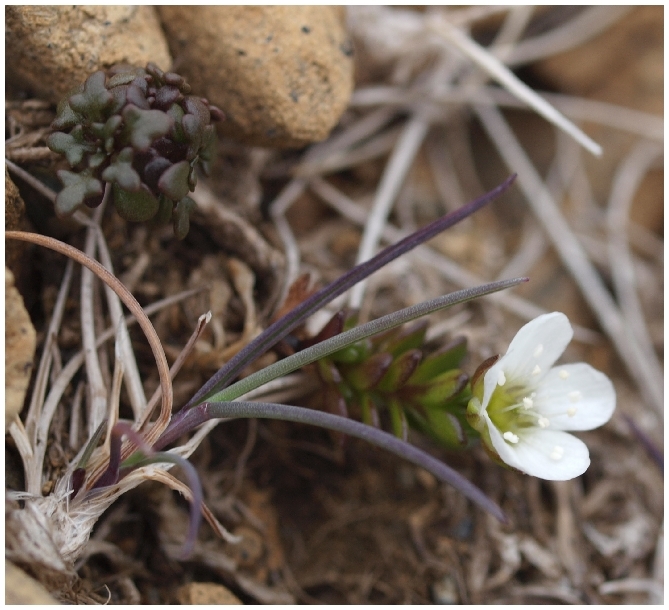 Unfortunately, I am never on Unst when it is flowering. There are many good reasons why people plan for their retirement. Mine is so that I can see the Yellow Flag in bloom. This is one of those plants that likes to colonise unstable and difficult habitats. This presumably gives it the edge until it changes the environment and shoots itself in the foot - or root. It has all the right gear for the job, creeping stems and a layer of hairs on the underside of the leaves to cut down water loss - it is the hairs that give it the name. 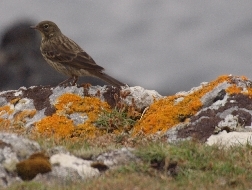 My guess is it is some sort of Pipit but to be honest, I haven't a clue. I have put the picture up on iSpot and I will update this when an expert has had a look. 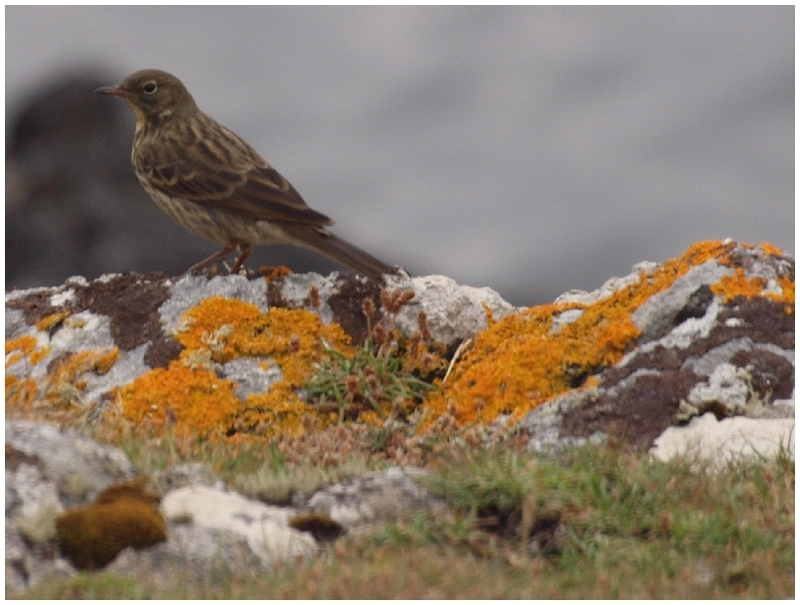 Okay, so the experts say Rock Pipit. 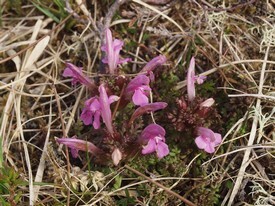 A very common plant of the drier heathland (although that is by Unst standards - anywhere else it would be classed as wet heathland). If you have a bit of scabies, it might be worth giving it a try. The root is quite short; bitten off by the Devil, apparently. I'm not sure what it did to deserve that. I like it when the bird's name says what you see. 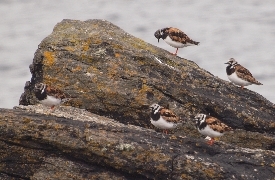 These are really common along the rocky shores, a part of the Oystercatcher team together with Dunlin and Turnstones. A specialist at avoiding photographers by standing on high cliffs in hard to get at places. 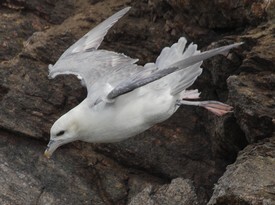 You will also see them on the sea diving in after shoals of fish along with divers and gannets. 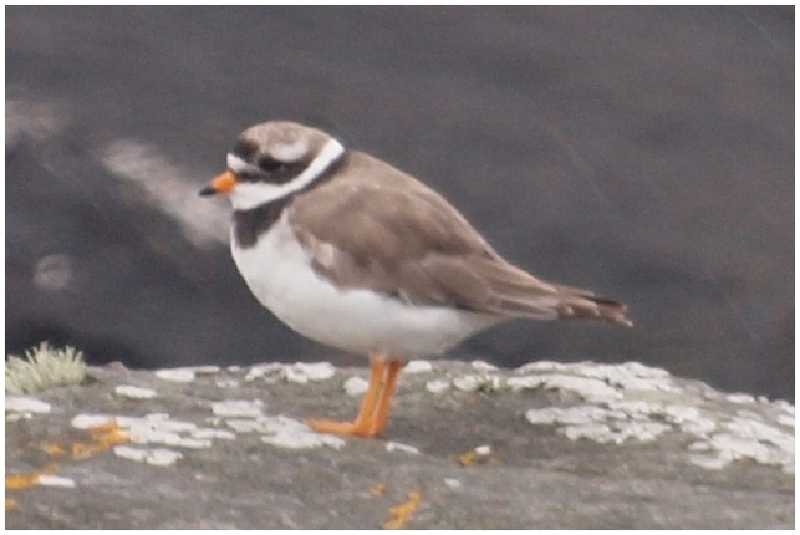 You can usually spot places where they frequently land to dry out by the smell! 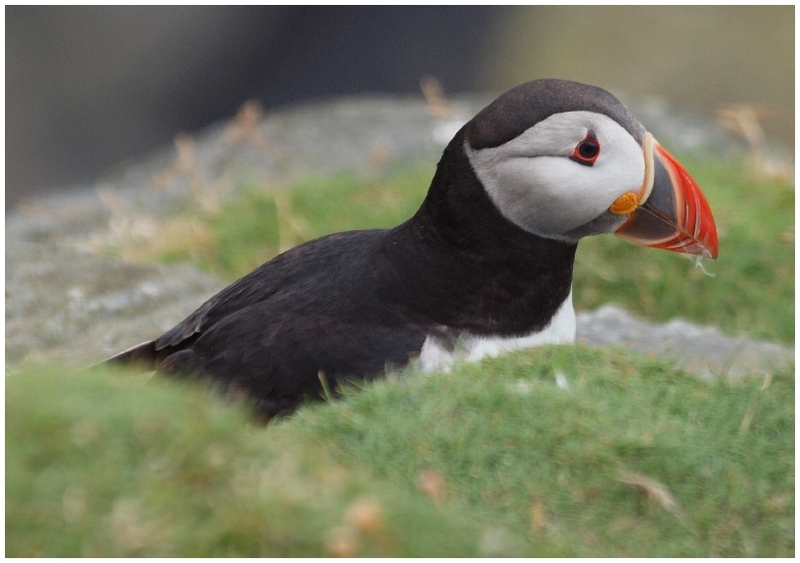 Although you can usually see Puffins along other coastal walks on Unst, at Hermaness, you will see hundreds of these burrowing birds that seem to fly like a brick, until that is, they do. Walking over Hermaness used to be much more exciting before they build the raised walkways. 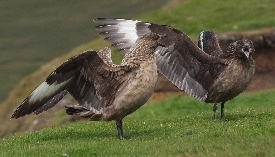 Partly because you might end up knee deep in bog but mostly because of the risk of being tapped lightly on the head by a diving Bonxie, keen to steer you away from its chick hidden amongst the Heath. My solution was to send a small child in front to draw them away. This is by far the safest option and anyway, children heal faster than us older folk. 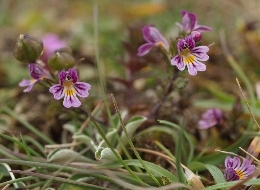 The short grassland of the sea cliffs is basically the same habitat as an upland meadow which is the kind of place where you might also find this plant. It likes acid soil but not if it is too damp. 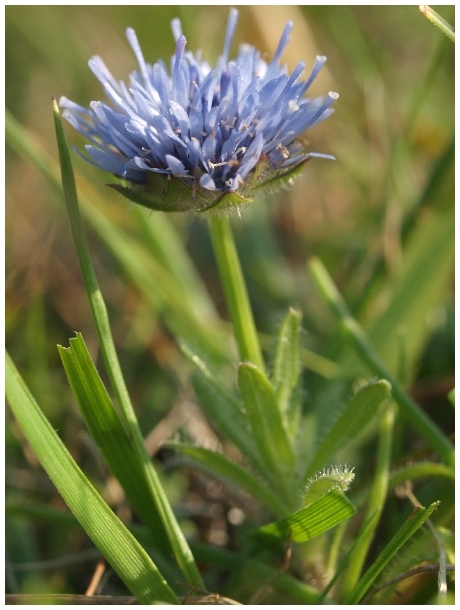 Sometimes called Sheep's-bit scabious even though it isn't. Plant names can be like that. 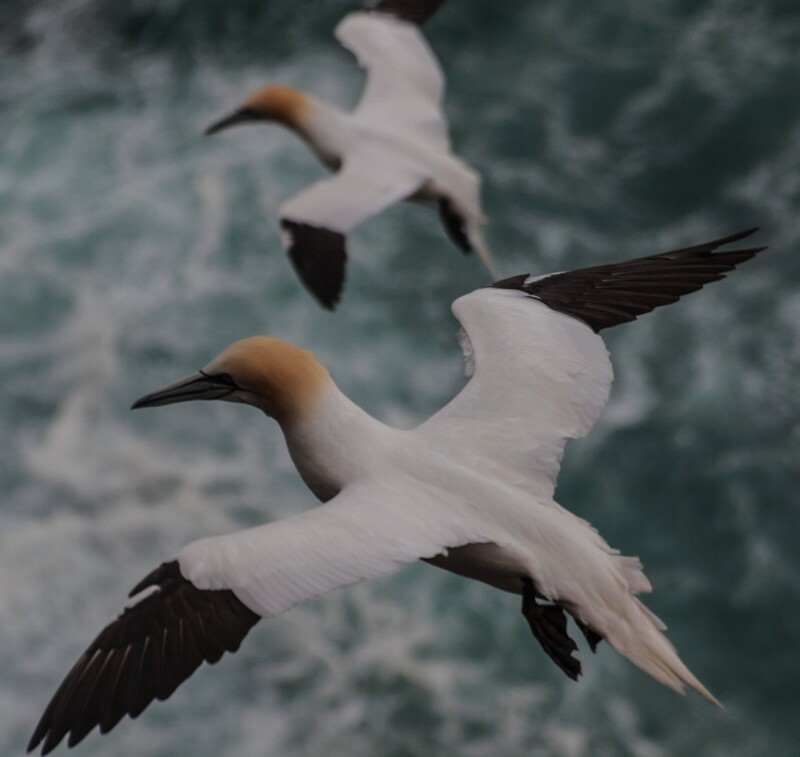 Spend some time watching Gannets diving into shoals of fish at Sandwick and then visit Hermaness to see where thousands of them breed. It is a very noisy place, neighbours seem to be constantly bickering. 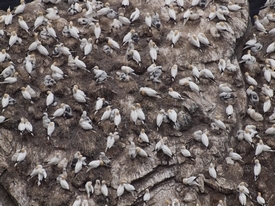 How do the adults know where their nest is amongst all the others? 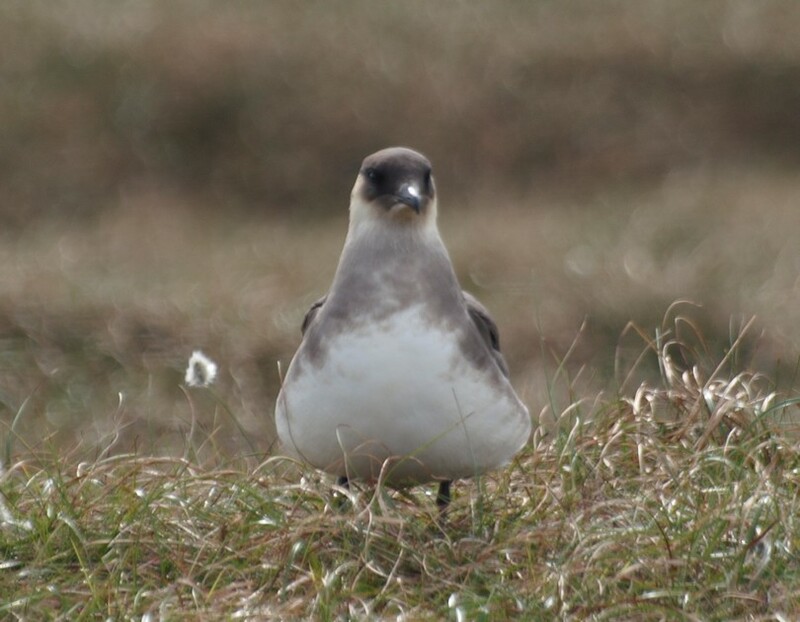 Does guano make a good nesting material? Why are people whose eating habits could be better, also called Gannets? 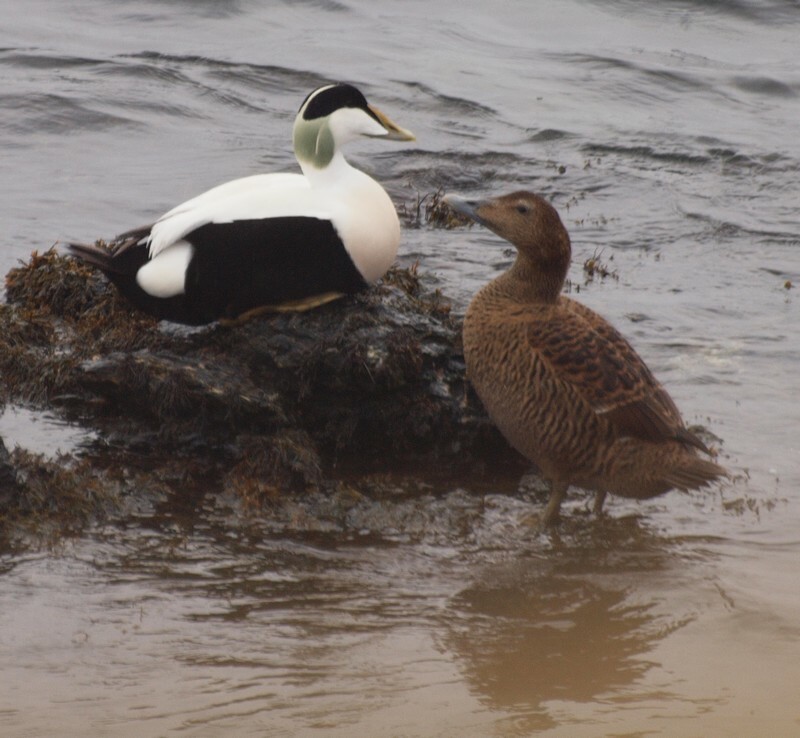 Summer visitors (humans not birds) will see plenty of female Eider with their chicks. You will need to be an early bird (sorry!) if you want to see the males in their dinner suits. 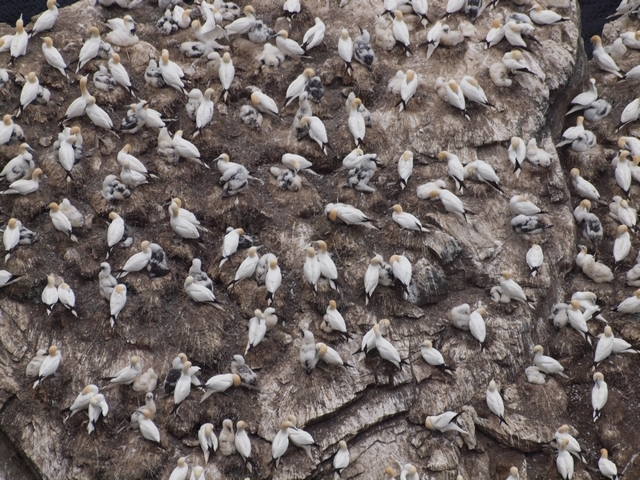 Large numbers collect together on the coast facing Uyea. 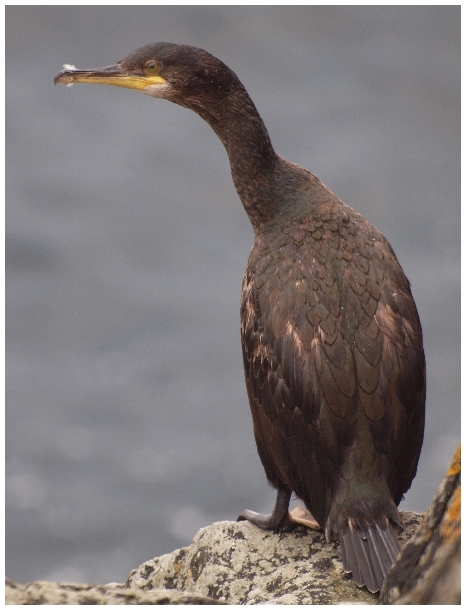 A little black bird out on the water will be either this or a puffin. They definitely have a certain style with the red gape and feet to counterpoint the more formal black and white suit. The fulmar gave in first and flew off to find a neighbourhood with nicer neighbours. 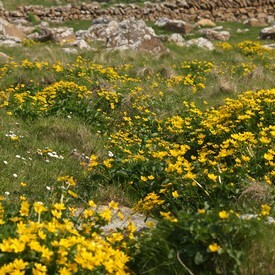 These are very common and can be seen along just about any of the medium and high cliffs on the island. They use the thermals and sea winds expertly to get a good look at you as you walk along the cliffs. You will also see their cute, fluffy chicks in hard to get to nests on the cliffs. These deflightful balls of fluff have the engaging behaviour of projecting oily fish-based vomit at you if you get too close. Take it from me, you never get the smell out of your clothes. 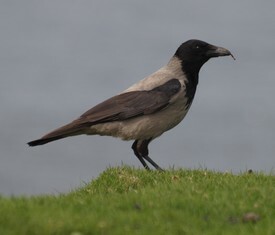 This is a crow but not as we southerners know it. It is very closely related to the Carrion Crow, so close they can form hybrids where their ranges meet. It seems that the crows had their referendum a long time ago; the Hoody's distribution excludes England (and Wales) quite precisely. My opinion, is that this version is much more smartly dressed. 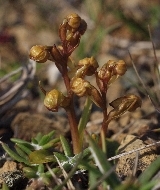 This plant supplements its supply of nitrogen and other essential minerals by catching flies with its sticky leaves and then digests them, slowly to extract the nutrients. 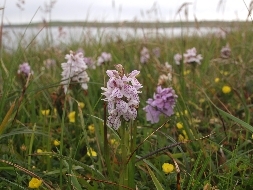 It can therefore be found in the sort of boggy land, that which is very, very common on Unst. As you can see, it avoids the Catch 22 situation of being adapted to kill insects but also needing to be pollinated by them by putting its flowers on a long stalk above the death trap leaves. 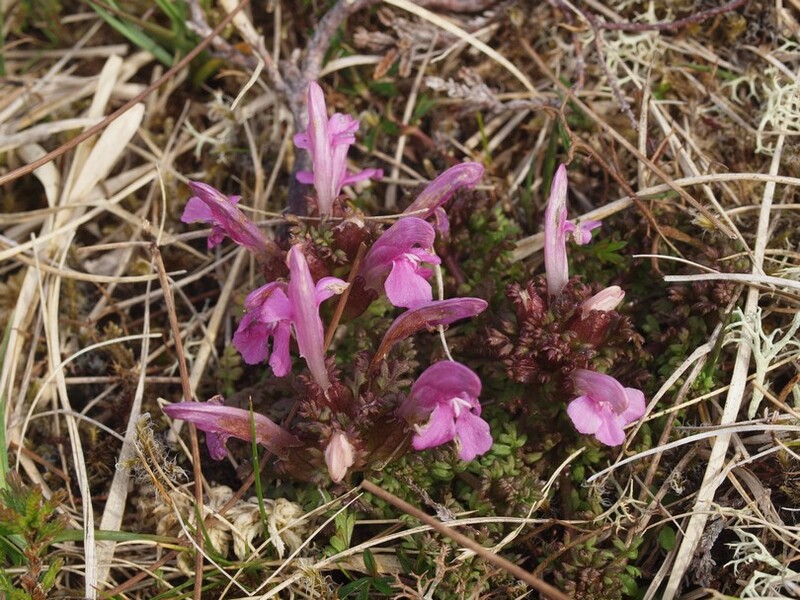 Here are some "facts" about Lousewort, some of which may be true. 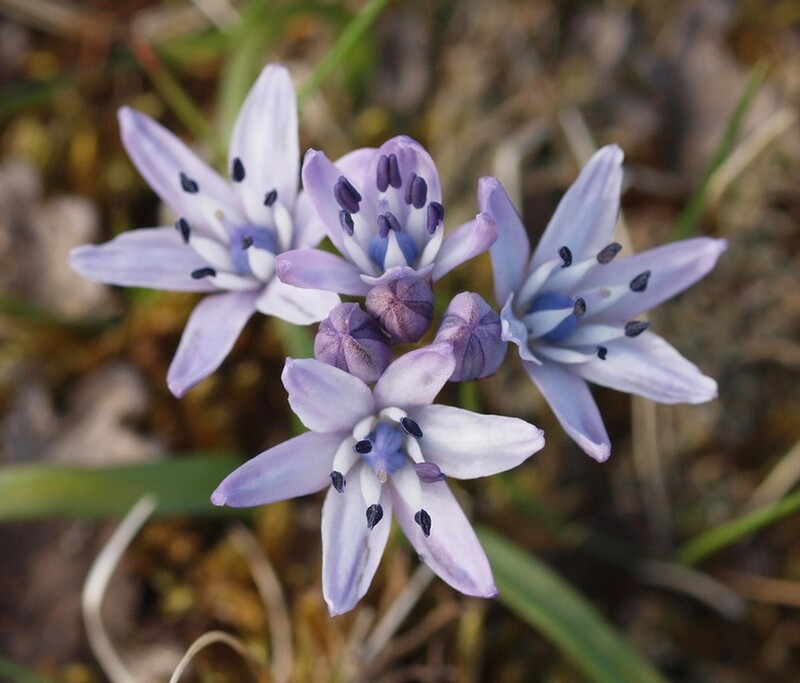 It, like Bog Asphodel is named after the effect of its habitat on livestock. 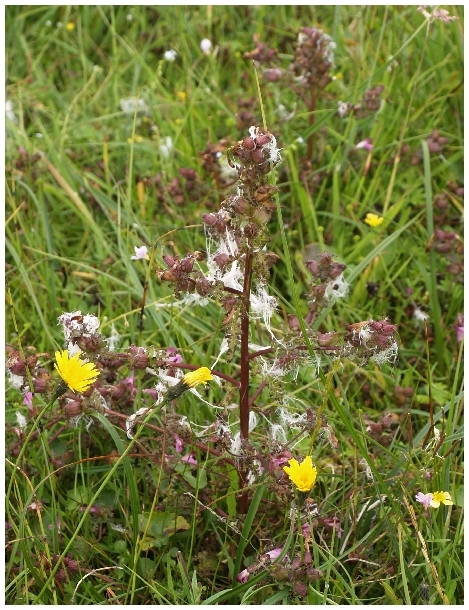 Thus, the wet meadows it inhabits may have been thought to give sheep lice and the plant acts as an indicator of that sort of habitat. It has also had the embarrassment of being put in the wrong taxonomic group in the past. Or so say today's taxonomists. 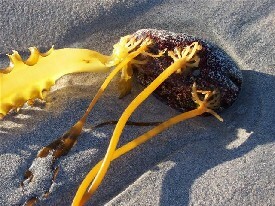 It has the sort of tube-shaped flower that may very well provide a much needed sugary snack when removed and sucked. Alternatively, it may not. 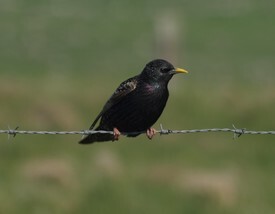 I know that this is a timid bird because there was no way I was going to get close to it for a better photo. But then, I dare say that it had a nest close at hand and I had no business to be wandering around, putting its eggs at risk. 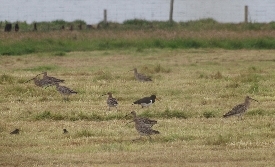 Common on drier heath over much of the island. 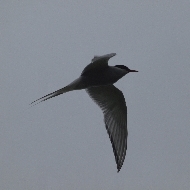 This is a far more graceful bird than the Bonxie. It comes in two flavours; the picture is of the white phase. It is worth watching their flying skills as they chase other birds until they give in and drop the food they are carrying. They then swoop down and catch whatever it is before it hits the ground. It can take a bit of finding but once you have seen one, you see many more. This is the only place on earth that you can see this plant so enjoy the experience. 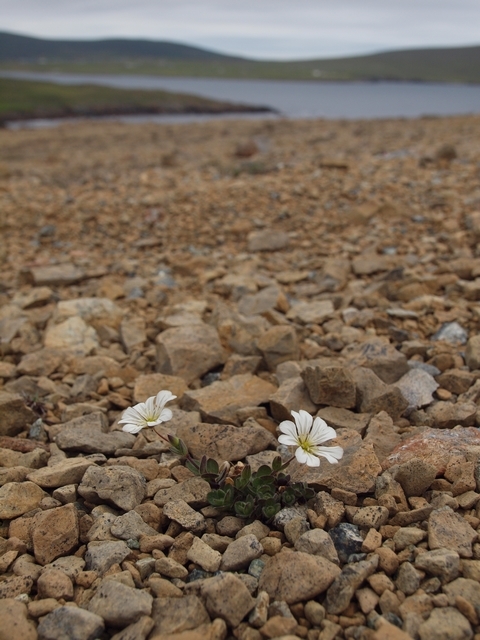 The debris is a truly horrible place for plants to grow and you have to be impressed by the chickweed's grit and determination (not forgetting its heavy metal and drought tolerance). 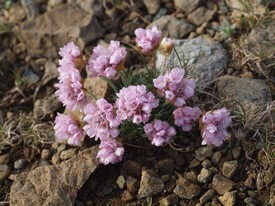 You will probably find more of these plants on the lower part of the Keen near to the Horse Mill and The Final Checkout. 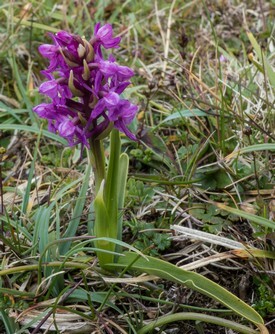 One of three orchids on the Keen. 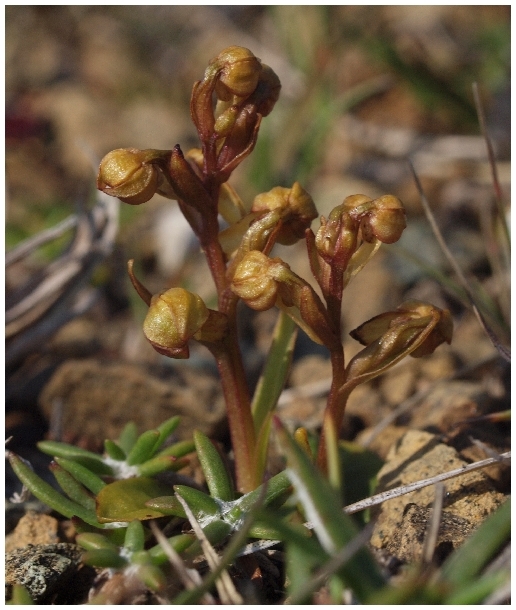 You will find this one on patches of debris with some vegetation cover. Well, the flowers are greeny-brown. Other than that, I am not convinced about the name. If you travel east you will end up just slightly north of Bergen. So, that makes sense. This is another rare plant, please tread carefully! This one really likes the rocky outcrops. 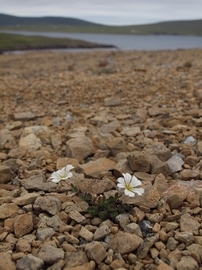 Its range in northern europe gives clues about the last ice age and the way that the ice sheets isolated populations leading to the production of new species. By the way, it is a cabbage! 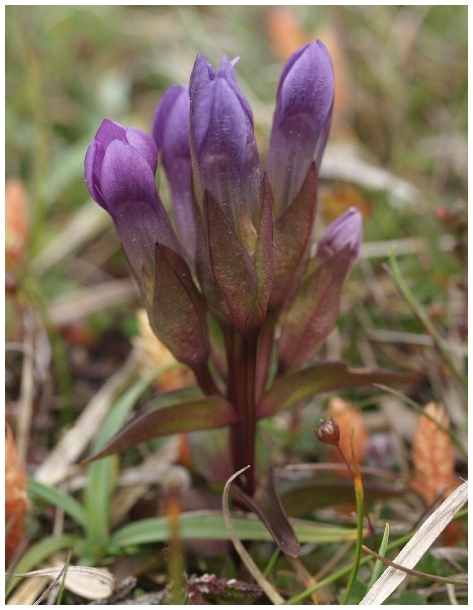 Otherwise known as Autumn gentian, this is a common plant on short, dry(ish) heathland. This apparently has a bitter taste and was used by herbalists for stomach complaints and to flavour alcoholic beverages. Of course, the term "early" is relative. 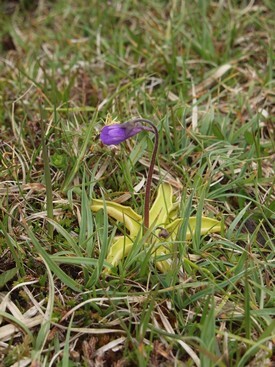 This flowers in May and early June and so isn't as early as it might be on mainland UK. 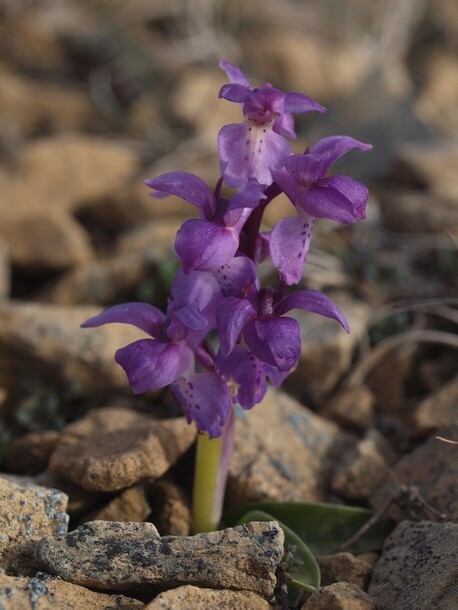 It's scientific name is Orchis (meaning testicle) mascula (meaning male). Is this an example of a tautology? 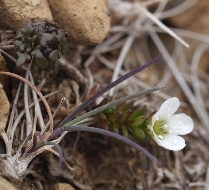 This is another plant that can be found just about everywhere on Unst. I am all for thrift. Too much money is spent on pointless frippery in my opinion. Whatever happened to the pride we used to feel from "doing without". In the good old days, it was all "Many a mickle makes a Muckle" but now we have "Don't sweat the small stuff". This is me showing my age. Odd though, that it was on a "thruppeny bit" back in the day. Younger readers will need to Google that one, although it will politely ask if you mean something else. 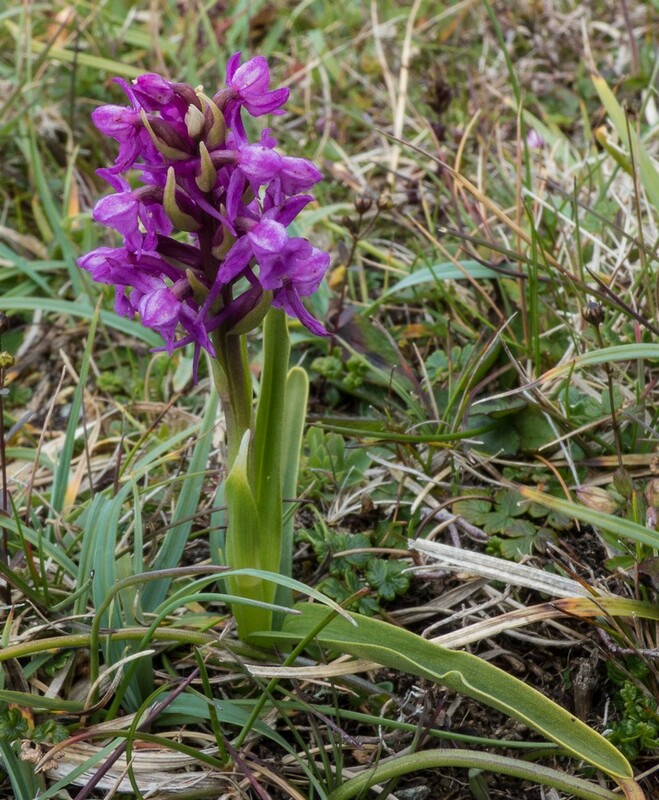 If you are on the Keen in August, you will likely see this orchid in the heath. 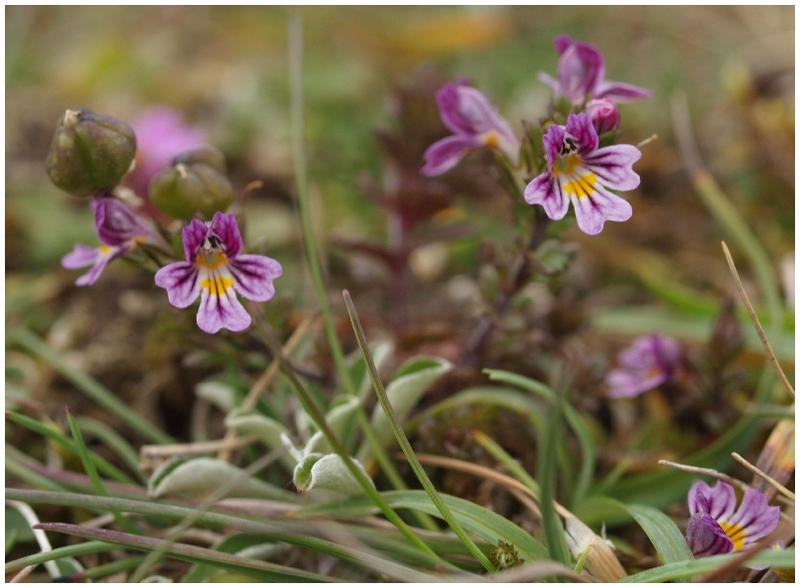 It is worth grovelling around on the ground so that you can apply your nose to its flowers to confirm its name. However, the nature of the human brain is such that you will no doubt be convinced that you can smell its delicate fragrance - even if it is blowing a gale. A seashore plant that can be found on serpentine heath and on many of the cliffs. It has rather nice silky hairs on the back of its leaves, as an adaptation preventing water loss.